UPDATED NEW QUOTE BY ULDIS SPROGIS 1210!!! This entry was posted in common sense and tagged age, common sense, knowledge, maturity, quotes, responsibilities, truth, wisdom, wise sayings, words on July 30, 2018 by uldissprogis. UPDATED NEW QUOTE BY ULDIS SPROGIS 452!!! This entry was posted in common sense, money and tagged common sense, energy, money, quotes, responsibilities, time, truth, work on June 7, 2016 by uldissprogis. UPDATED NEW QUOTE BY ULDIS SPROGIS 439!!! This entry was posted in common sense and tagged common sense, emotions, energy, fear, goals, mental efficiency, quotes, responsibilities, thinking, time, truth on June 1, 2016 by uldissprogis. UPDATED NEW QUOTE BY ULDIS SPROGIS 204!!! This entry was posted in common sense, education, science, society and tagged common sense, education, goals, human nature, knowledge, quotes, relationships, responsibilities, science, society, truth, wisdom, wise sayings on March 13, 2016 by uldissprogis. Most of us, unless we inherit great wealth, will be dependent on a job or welfare and committed to a spouse if we decide to marry. True independence is only possible with great wealth or being a reclusive bum. The rest of us are dependent on job, family, friends, good and bad habits, and social laws which makes true independent living not entirely possible. If you equate independence with being able to do what you want and when you want then you will need much money. Most of us are living very dependent lives and not independent ones because frankly big money is increasingly getting harder to obtain in society. True social independence is freedom from tyranny, unjust complex taxation, and special interest laws. 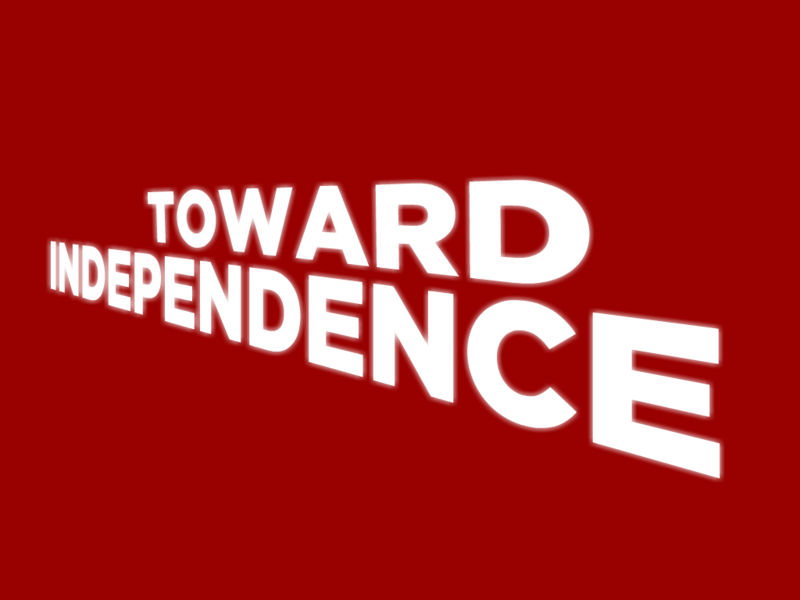 Just social independence also means a basic safety net to rely on if you become destitute and also unemployed. Everyone is dependent on nature and even a self-sustaining agricultural community like the Amish is dependent on other humans for education, shelter, and transportation. Even if you live a single life then you will still need a job unless you are a panhandler and you will have to depend on other humans to support your “independent” lifestyle. Due to worldwide trade more and more countries are becoming interdependent on each other and the days of rugged individualism and independent nationalism are quickly disappearing. Technology is decimating small businesses and jobs in general and that means increasing dependency on government handouts or welfare to survive. Sexual promiscuity, an increasingly immoral upbringing, and a desire by many to escape a seemingly hopeless future through alcohol and drugs is causing many dysfunctional lives reflected in a small birth rate and the general disintegration of healthy family life. Society is creating many individuals dependent on their family on into adulthood, many fatherless families on government welfare, and armies of young adults being supervised by social workers and rehabilitation personnel designed to try and deal with the increasing numbers of dysfunctional entitled individuals in society unable to make it on their own both physically and mentally. Society is encouraging a profligate debt ridden lifestyle with little planning for the future and the result is a rapidly declining middle class of taxpayers causing not only greater personal debt but greater national and international debt and financial instability. Fail to teach independent individual financial responsibility, the moral skills necessary for good parenting and social interaction, and the result is bankrupt dependent individuals bankrupting the corrupt society and nation. Armies of dependent adult children who never grow up to lead independent financial lives may seem like the greatest threat to Western Nations. However, we can keep them on minimum basic welfare assistance throughout a lifetime and severely reduce their reproductive rate for the benefit of biodiversity and the survival of wildlife worldwide. Efficient advanced technology will be able to support their minimalist lifestyle if they don’t decide to revolt instead and demand a bigger piece of the pie than they deserve. Killing time on welfare will be an accepted social norm for many in the not too distant future but they will also be using fewer natural resources and not polluting the environment as much which will be a good thing in the long duration. If you don’t want your offspring to become future welfare casualties then read my evergreen truth books CHANGES IN WELFARE LAWS, EDUCATION REFORM, LOVEALL, MODERN PARENTING, and GOOD MODERN BEHAVIORS. This entry was posted in common sense, education, science, society and tagged ability, common sense, education, human nature, independence, language, responsibilities, science, society, the truth about independence, words on June 11, 2014 by uldissprogis.